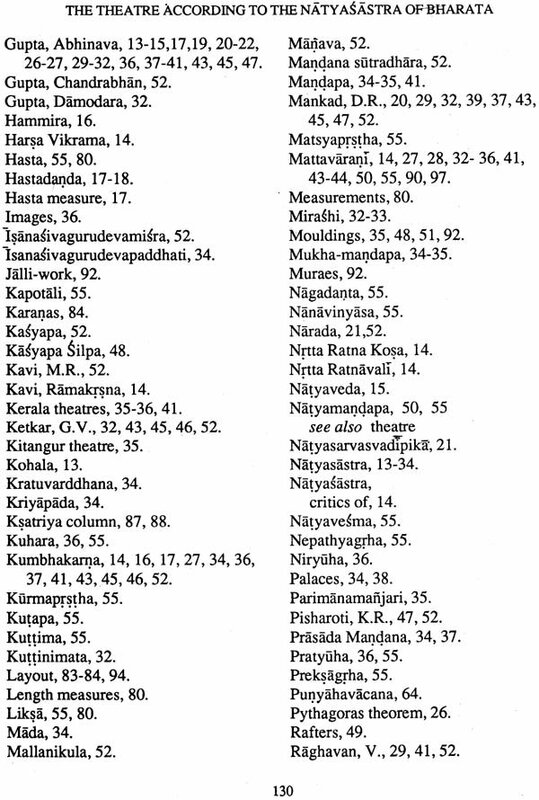 Detailed descriptions of different types of theatres, depending on their shape and dimensions, aregiven in the second chapter of the Natyasastra, the famous treatise on dramaturgy, by the venerable sage Bharata. This chapter deals with the construction of theatres and obviously some technical terms are used while describing it. It may be observed that interpretation regarding dimensions, divisions, arrangements of columns etc. of theatres of different types, as well as the technical terms used, as given by most of the scholars, particularly the modern ones, are not correct, probably because of their lack of knowledge of engineering. The author has given his opinions on different aspects of theatre building based on the information given in the treatises of Silpasastra, written in Sanskrit, like the Samarangana Sutradhara, The Prasada Mandana, the Rajavallabha etc. In the Introduction of this book comments by different scholars, from Abhinava Gupta to the modern scholars like Ketkar, Raghavan, Subba Rao, Visvesvara Siddhanta Siromani etc., on different aspects of the theatre as described by Bharata, are discussed. Opinions of author, bashed on the study of treatises of Silpasastra, on these aspects are also given. A translation of the second chapter of the Natyasastra is given. At the end, literature in Sanskrit, available on this subject, is appended. He has written more than forty papers on the subject of Indian Silpasastra. 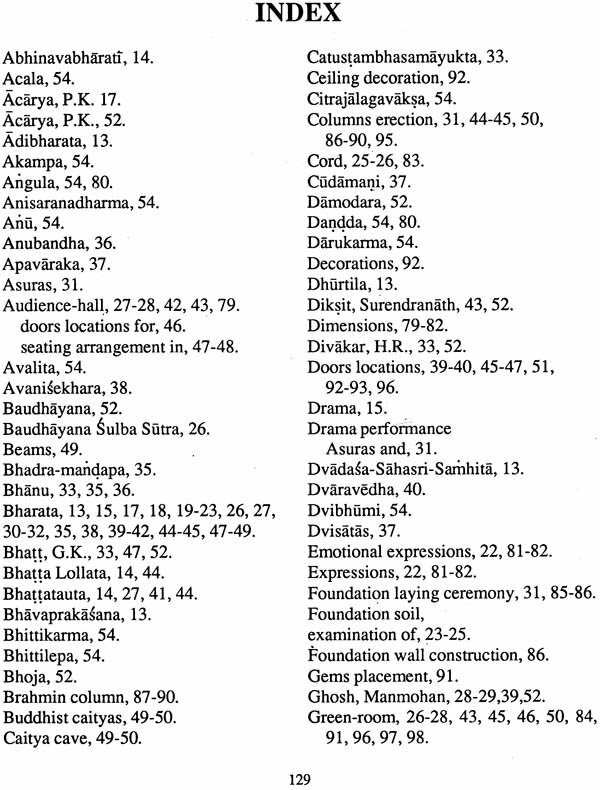 Detailed descriptions of different types of theatres, depending on their shape and dimensions, are given in the second chapter of the Natyasastra, the famous treatise on dramaturgy, by the venerable sagas Bharata. This chapter deals with the construction of theatres and obviously some technical terms are used while describing it. It may be observed that interpretation regarding dimensions, divisions, arrangements of columns etc. of theatres of different types, as well as the technical terms used, as given by most of the scholars, particularly the modern ones, are not correct, probably because of their lack of knowledge of engineering. The author has given his opinions on different aspects of theatre building bashed on the information given in the treatises of Silpasatra, written in Sanskrit, like the Samarangana Sutradhara, the Prasada Mandana, the Rajavallabha etc. In the introduction of this book comments by different scholars, from Abhinava Gupta to the modern scholars like Ketkar, Raghavan, Subba Rao, Visvesvara Siddanta Siromani etc., on different aspects of the theatre as described by Bharata, are discussed. Opinions of the author, based on the study of treatises of Silpasastra, on these aspects are also given. A translation of the second chapter of the Natyasastra is given. At the end, literature, in Sanskrit, available on this subject, is appended. The author is grateful to Director, Indian Council of Historical Research New Delhi, for giving a research grant to cover part of the cost of the publication of the book. Thanks are also acknowledged due to Shri Shabi Ahmad, the Research Officer of I. C. H. R., New Delhi, for processing the case speedily. 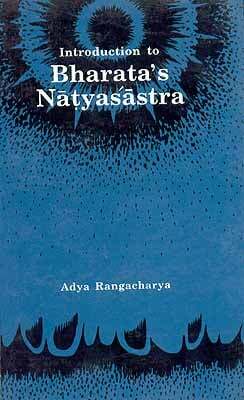 The Natyasastra by Bharata is the oldest available authoritative treatise on the subject of dramaturgy. It is not that treatises on this subject before Bharata were not written. In the last chapter of the Natyasastra, names of the four preceptors of dramaturgy are mentioned. They are: Kohala, Vatsya, Sandilya and Dhurtila. However, to-day only expects are available and not the complete treatises written by them. All the authors, later than Bharata, dealing with this subject treated the Natyasastra as the basic and the standard work. It is understood that the Natyasatra, as available to-day, is not in its original form but might had been edited at least twice. 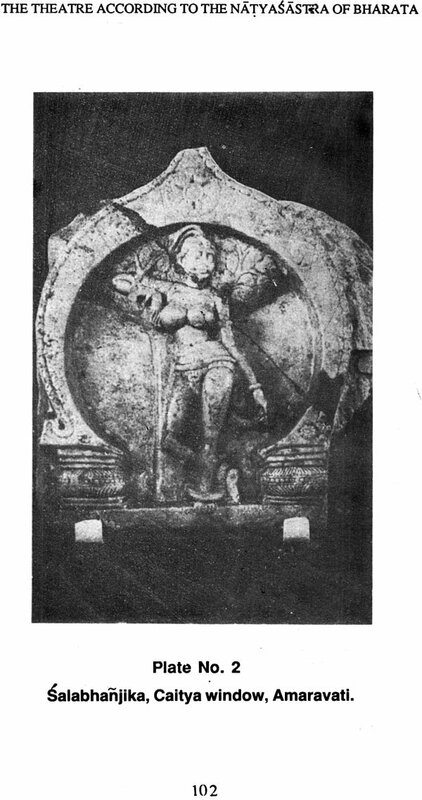 Saradatanaya in the Bhavaprakasana mentions that the Natyasastra was first written by Adibharata or Vrddhabharata. It was quite a big treatise as it contained twelve thousand stanzas. It was, therefore, called as the ’Dvadasa-sahasri-samhita’, i.e. a compendium of twelve thousand verses. Bharata abridged this to six thousand verses and hence the present Natyasastra is called as the ‘Satsahasri-samhita’. Opinions of scholars regarding the time of Bharata differ. Bharata might have lived sometimes between 500 B.C. and 100 A.D. according to Visvesvara or might be between 200 B.C. and 200 A.D. as opined by Ketkar. 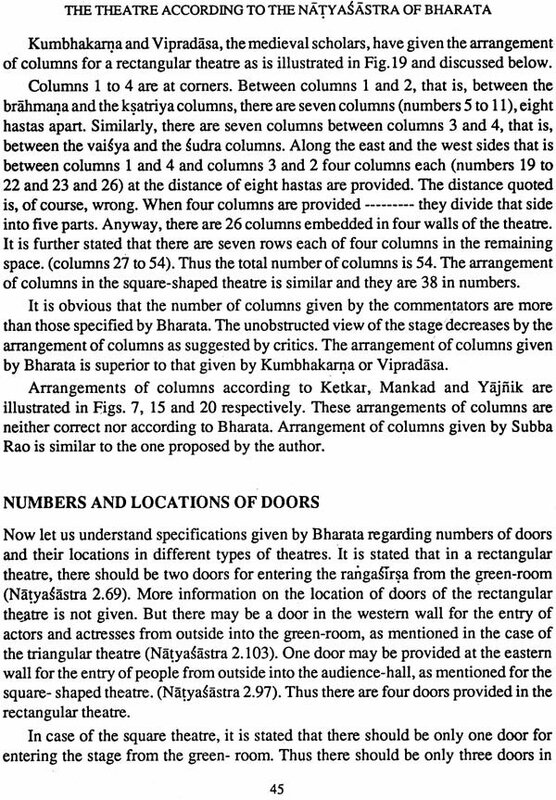 A detailed descriptionof different types of theatres (Natyamandapa) is given in the second chapter of the Natyasastra by Bharata. It contains one hundred and five stanzas. It gives detailed dimensions and layouts of different types of theatres as well as information on the constructions and layouts of different types of theatres as well as information on the construction of walls, columns, roof, their decorations etc. The description of theatres is so such scientific facts that there could not be any doubt that such theatres used to be constructed at and before the time of Bharata, and that he must have been well-versed in the various facets of the construction of the theatre. 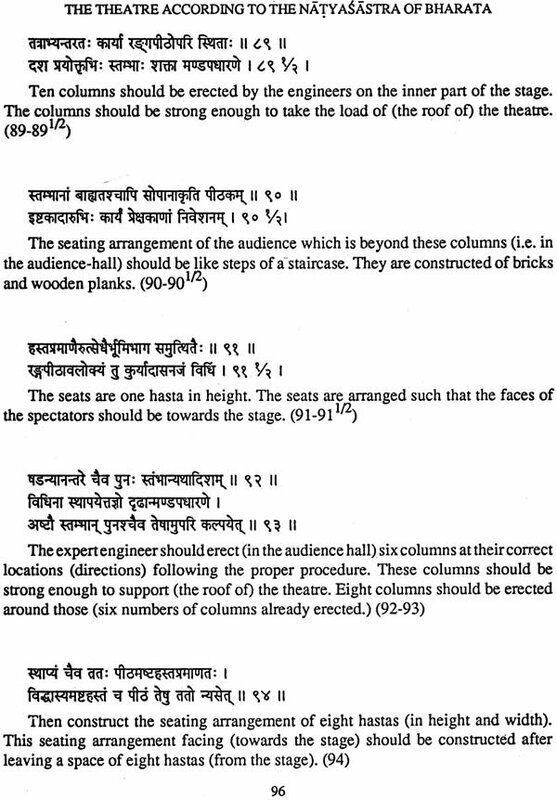 Bharata made use of some technical terms while describing different constituent part of the theatre. Many critics, from Abhinava Gupta to Subba Rao, Tried to interpret these terms. But these interpretations are not bashed on the technical knowledge, most of them, except Subba Rao, being Sanskrit scholars. They were not having the basic knowledge of technical aspects of the building construction. Abhinava Gupta is the oldest and the ancient critic of the Natyasastra. Abhinavabharati is the name of his commentary on the Natyasastra. In his commentary, opinions on the construction of the theatre by critics, earlier than him, like Sri Sankuka, Bhatta Lollata, Vartikara and, his teacher, Bhattatota , are given. The period of Abhinava Gupta might be 950 to 1025 A.D.
Sri Sankuka is mentioned fifteen times in the Abhinavabharati and he might be one of the commentators of the Natyasastra. He might be alive during the reign of the king Ajitapida of Kasmira, i.e.by 813 A.D.
Bhatta Lollata is mentioned ten or twelve time by Abhinava Gupta and his period might be eight century A.D.
Vartikakara is mentioned as Harsa Vikrama by Sagaranadi in the Natyaratnalaksana Kosa (page, 3225) and by Saradatanaya in the Bhavaprakasana (page 238). According to scholars Harsa might be the Acarya of dramaturgy and he might have written an independent treatise on this subject. Abhinava Gupta was the disciple of Bhattatota and opinions on the ‘mattavarani’ and the two storeyed theatre by Bhattatota are mentioned in the Abhinavabharati Bhattatota and Abhinava Gupta may be contemporary. 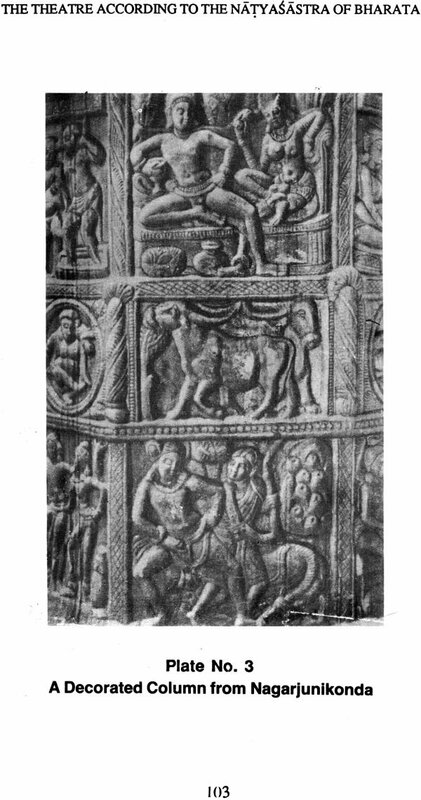 Ramakrsna Kavi, in his Bharata Kosa, has quoted comments on the theatre by Jaya Senapati, Kumbhakarna, Subhankara and Vipradasa. Jaya Senapati lived in the eleventh century A.D., during the reigns of the Kakatiya kings of South India. He is the author of the ‘Nrtta Ratnavali’. Kumbhakarna is the author of the ‘Sangitaraja’ and the ‘Nrtta Ratna Kosa’ and lived by 1449 A.D. Subhankara, the author of the ‘Sangita Damodara’, lived sometimes after A.D.1500 AND Vipradasa, the author of ‘Sangita-candar’ lived before 1625 A.D. The modern critics of the second chapter of the Natyasastra are Divekar, Dikshit, Gupta, Ketkar, Mankad, Raghavan, Subba Rao, Visvesvara and Yajnik. The name of the second chapter of the Natyasastra is ‘Manadapa Vidhanam’. Detailed descriptions of three types of theatres are given. This second chapter is an important evidence regarding the progress in the construction of big public buildings as early as fourth or fifth century B.C. The Sanskrit text and the translation in English of this chapter are given at the end. In the first chapter of the Natyasastra, it is mentioned that, on a holiday, many sages, having finished their daily ritual, approached Bharata and requested him to elucidate the Natyaveda. The treatise is written as if sages made querries on different aspects of dramaturgy and Bharata has replied them. Bharata, at the request of the sages, has described the art of drama as developed for the recreation of gods. In the second chapter, sages requested him to give them information on the sacrificial ritual required to be performed at the time of the construction of theatre. But they then thought that first the description of the theatre and then that of the sacrificial ritual for it is the right order of getting the information. Accordingly, they asked tree question: first about the layout of the theatre, next its dimensions then about the sacrificial ritual. They have also clarified that information on the theatre to be constructed by men and for men should be given. Bharata accordingly replied that he will describe the theatre as well as the sacrificial ritual. Here Bharata has not mentioned explicitly that he give the information on the details of the construction of the theatre. According to Abhinava Gupta, the reason of this omission is given in the fifth stanza of the second chapter, as otherwise, the context of this stanza is difficult to understand. Bharata omitted mention of the constructional aspects of the theatre because once the detailed dimensions and the layout of different parts of the theatre are known, gods can create the theatre by simply wishing. Abhinava Gupta has commented thus to explain the context of the stanza beginning as ‘Divyanam manasi srstih’. In fact this explanation is not necessary. Bharata has given not only the characteristics of the theatre, its dimensions and the information on the sacrificial ritual but also the deatails of the numbers and columns, their locations, the seating arrangement in the audience-hall, numbers and locations of doors etc. as the constructional aspects of the theatre. Further in the stanza 2.6, it is clearly mentioned by mentioned by Bharata that he will be describing the constructional aspects of the theatre by Bharata that he will be describing the constructional aspects of the theatre.(i.e. Sruyatam tadyatha yatra kartavyo natyamandapah). It seems that the stanza 2.5 should be interpreted differently. It is mentioned in the stanza 2.4 that gods can create the theatre simply by wishing it. On the other hand, men must have detailed information on the constructional aspects of the theatre, he will be describing the theatre in all its aspects. 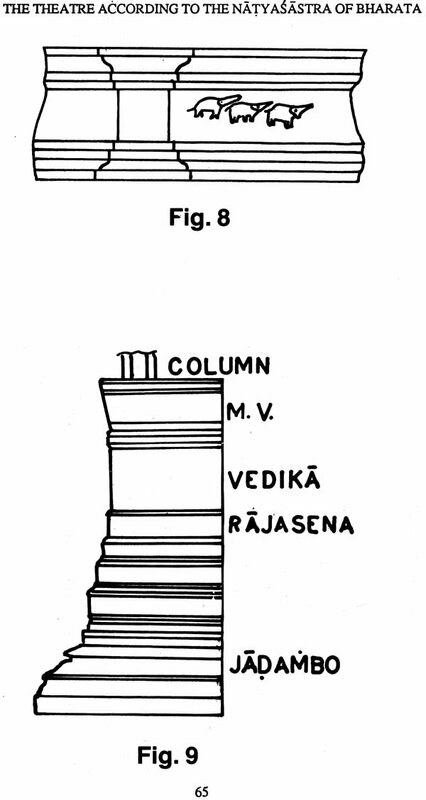 The world ‘laksanam’ includes not only dimensions and the layout of different constituent parts of the theatre but details of its construction also and this is clarified in the stanza 2.6 as given above. 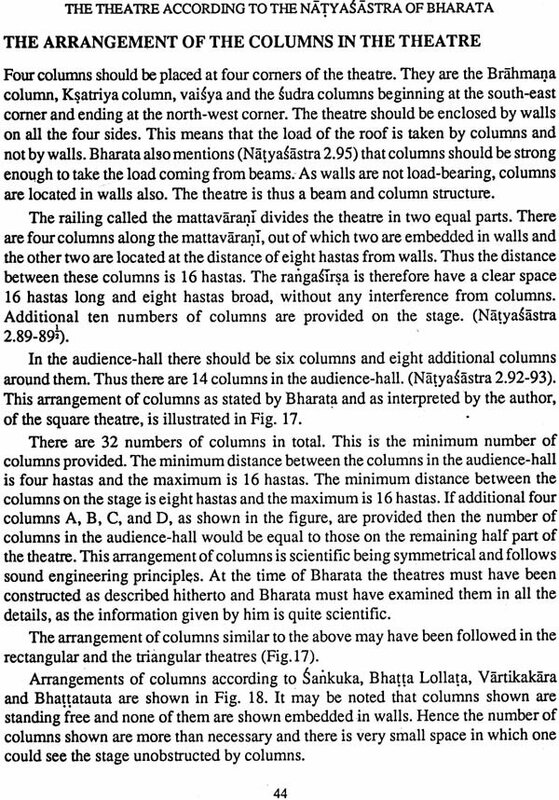 Bharata then describes shapes and dimensions of the three types of theatres after this introductory part is over. There are three types of theatres, depending on their shapes : rectangular, square and triangular. There are three sub-groups of each of these three theatres as large, middle and small theatres. A large theatre should be of 108 hastas, a middle one of 64 hastas and small theatre of 32 hastas in length. There are thus nine types of theatres depending upon their shapes and dimensions. 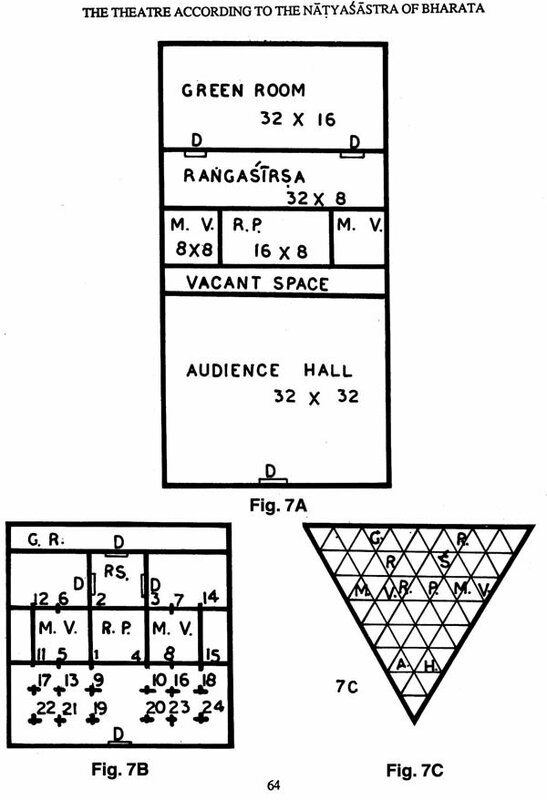 Jaya Senapati describes (7.212-218) only two types of theatres, one is rectangular and another is square-shaped. 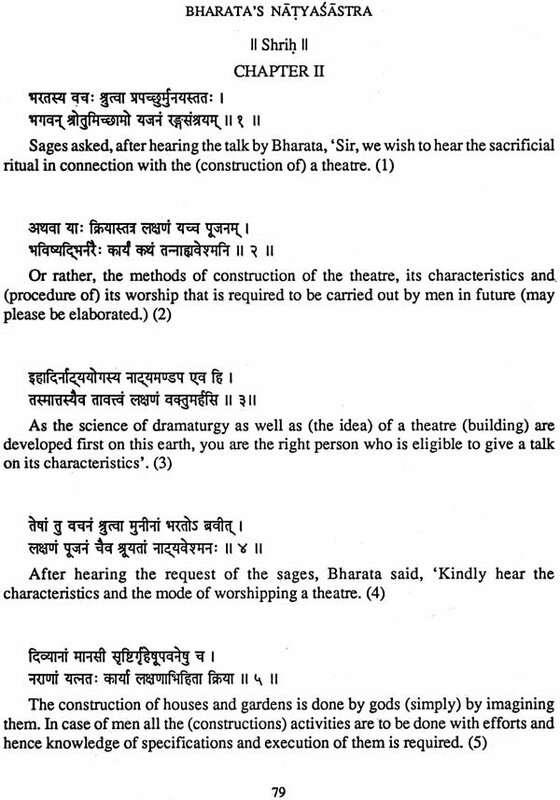 Dimensions of these two types of theatres quoted by him are similar to those given by Bharata. 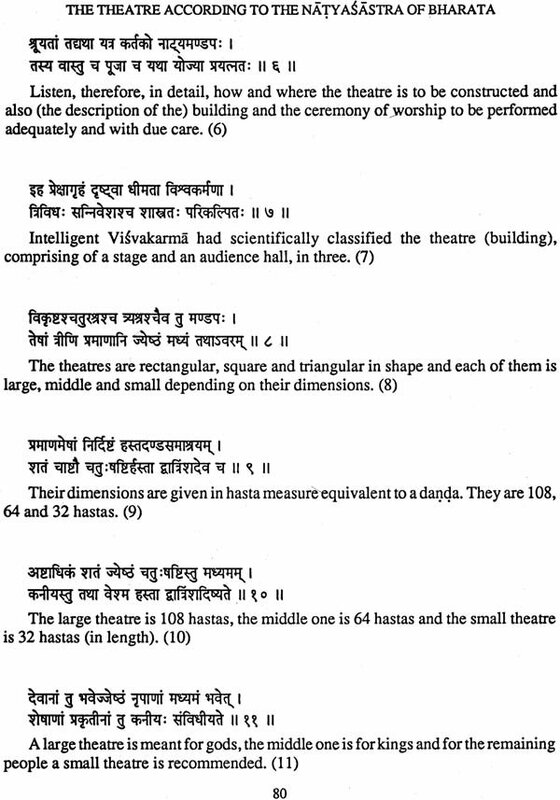 Kumbhakarna (I.1.37-40) describes four types of theatres according to their shapes. They are : rectangular having the length twice the width, rectangular having the length smaller than twice the width, square and triangular. Rectangular theatre having the length twice the width is large and it is meant for gods. Rectangular and square-shaped theatres are middle type and are suitable for kings and brahmins respectively. The triangular theatre is small and is meant for the people of lower castes. 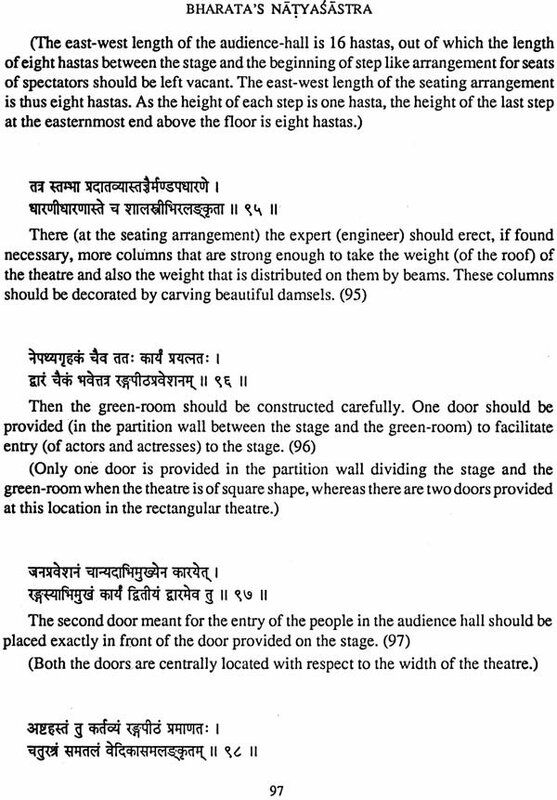 Vipradasa also mentions four types of theatres as described above (Bharat Kosa, page 321). Sharadatanaya describes three types of theatres according to their shapes but they are square, triangular ad circular. All the three typs of theatres are said to be suitable for kings. The shape of the theatre differs depending upon the audience accompanying the king. When the king wants to see a small opera along with the gentlefolks of town then a circular theatre is suitable. The square-shaped theatre may be used for seeing a drama alongwith prostitutes, merchants, people of the merchant class, friends, king’s ministers and the commander-in-chief of the army. When the drama is to seen in the company of brahmins learned in the Vedas, family members, priests, the preceptor and also family members from the harem and chief queen, then a triangular theatre is suitable.